My last trip to SoCal was very productive, in regards to being a foodie. I had so many delicious sweets and meals (yes, sweets come first!) that I didn’t get to try all that I wanted to when I was there. I guess I’m just lucky enough to even try these places. I shall go back and try something different when I have the chance. 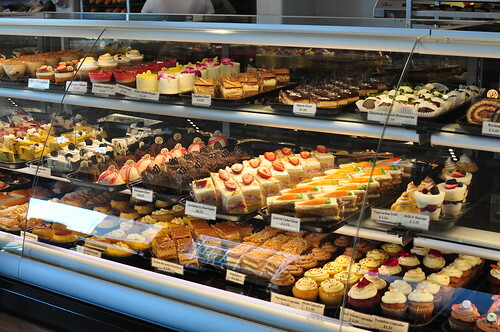 This entry was posted in Food Reviews and tagged bakery, breakfast, cafe, cakes, cupcakes, desserts, food, muffins, pastries, reviews, sandwiches on December 11, 2011 by Krystal. I went on a day trip to San Francisco… again. I went mainly for shopping. I love shopping. So much. But I got hungry. Oh so hungry. My friends and I decided to go search for ‘wichcraft. I saw this place a while ago and have been wanting to eat there since then. Well, ever since that morning. I’m a big Top Chef fan, as some of you might know. So when I found out Tom Colicchio found ‘wichcraft, it made me want to eat there even more. This entry was posted in Food Reviews and tagged bread, food, reviews, san francisco, sandwiches on March 15, 2011 by Krystal. I was so lucky that Joan’s on Third just happened to be walking distance from our hotel. We ate here for lunch both Saturday and Sunday. I must admit that we didn’t really have a lunch on Saturday… it was more like a dessert. Dessert before dinner? Guilty! 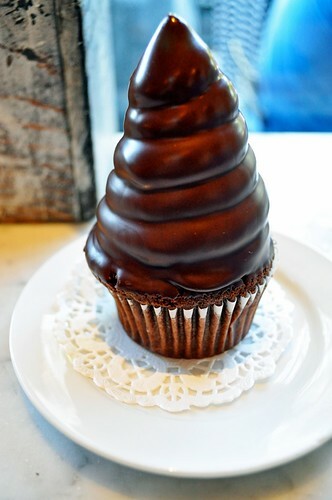 This entry was posted in Food Reviews and tagged bakery, cupcakes, food, los angeles, reviews, sandwiches on January 28, 2011 by Krystal. Specialty’s is probably my favorite sandwich place to eat. They have the freshest bread I have ever tasted in a sandwich, a wide variety of sandwiches to please everyone and they have some of the yummiest cookies ever! My favorite sandwich so far? This entry was posted in Food Reviews and tagged bakery, cafe, cookies, food, reviews, sandwiches on October 24, 2010 by Krystal.